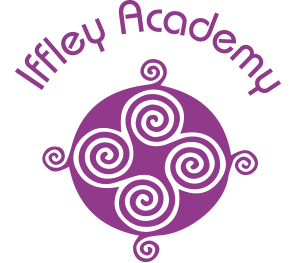 The Iffley Academy is a community Special Academy for children and young people up to the age of 18 with complex special educational needs. Our students have a range of needs but primarily we work with students with Cognition and Learning Difficulties, Autistic Spectrum Disorder and/or Social, Emotional and Mental Health difficulties. All pupils have Education, Health and Care Plans, or Statements of Special Educational Need. The Iffley Academy supports the social, emotional and academic growth of students through the development of meaningful relationships and the delivery of an appropriate curriculum by experienced, dedicated and skilled staff. We are Oxfordshire’s largest special school with 135 pupils. However, we know each and every student, their history and their specific barriers to learning and success: we know each and every family and their aspirations for their children for the future. This, paired with the calibre of our staff, gives us the very best opportunity and starting point to plan and deliver teaching and learning and raising achievement activities. At The Iffley Academy we value the achievements of all of our students and seek every opportunity to celebrate those achievements within the school, the family and the community. We have a diverse community of learners with specific and individual learning, social and emotional needs, and as such, our specialist provision is built to offer bespoke learning pathways with developmental achievement benchmarks for each child. All students have full access to a broad age-appropriate curriculum, which is enhanced by additional specialist therapies and interventions that focus the development of students’ specific needs. We pride ourselves on the delivery of effective learning in a caring, sensitive and safe environment centred around the needs of the individual child. Our Academy was inspected by Ofsted in December 2014. 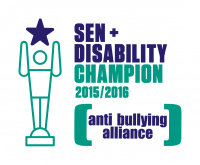 Our Overall Effectiveness was judged as being “Outstanding”. All of the categories considered by the inspectors (Leadership and Management, Behaviour and Safety of pupils, Quality of Teaching, Achievement of pupils, Sixth Form provision) were also all judged as “Outstanding”.